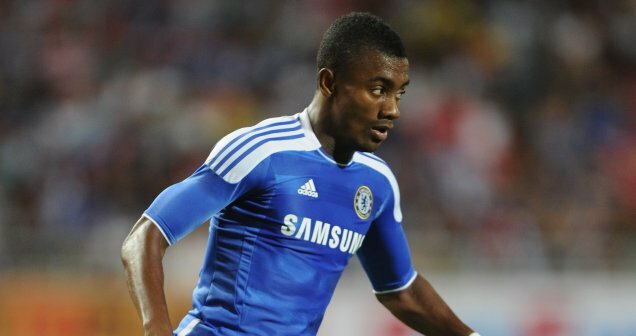 Arsene Wenger will make an £8m offer for Ivory Coast international Salomon Kalou. Arsenal's manager is a huge fan of Kalou and has made an offer every year since 2008 for the Chelsea forward. Kalou is becoming increasingly frustrated at Stamford Bridge as he finds his first team opportunities limited. Fernando Torres and Nicolas Anelka are the first choice strikers at Chelsea; with Kalou finding his opportunities limited from the bench. Romelu Lukaku is also expected to play an important role in the first team in 2012, whilst Danny Sturridge continues to impress. That means Kalou could be deemed surplus to requirements and Chelsea could cash in on Arsenal's interest come January.